Learn more about our courses here. View the Workshops and courses – Winter 2019 brochure. 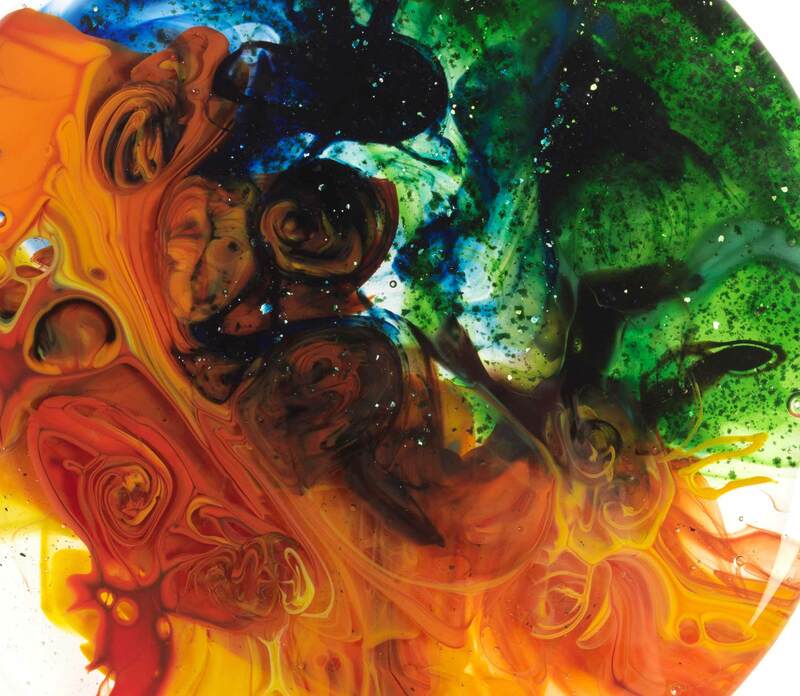 Welcome to Glasstronomy Studios’ adult art glass workshop program. These Saturday daytime workshops are offered as morning, afternoon, or full day sessions. They may span more day. Unless otherwise indicated, these workshops are for adults only. Upcoming workshops are listed in chronological date order. Have you previously taken a workshop or course at Glasstronomy Studios and simply ran out of time before you could complete the project? With your instructor’s guidance, and the appropriate tools and materials, you can finally complete your project. Commit, complete, and enjoy! Welcome to stained glass! 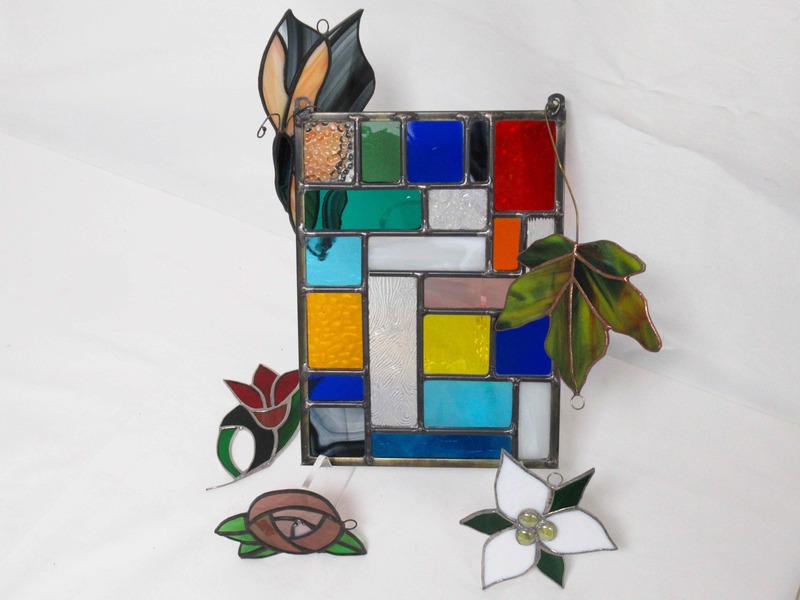 This one-day intensive workshop includes hands on instruction in traditional stained glass. 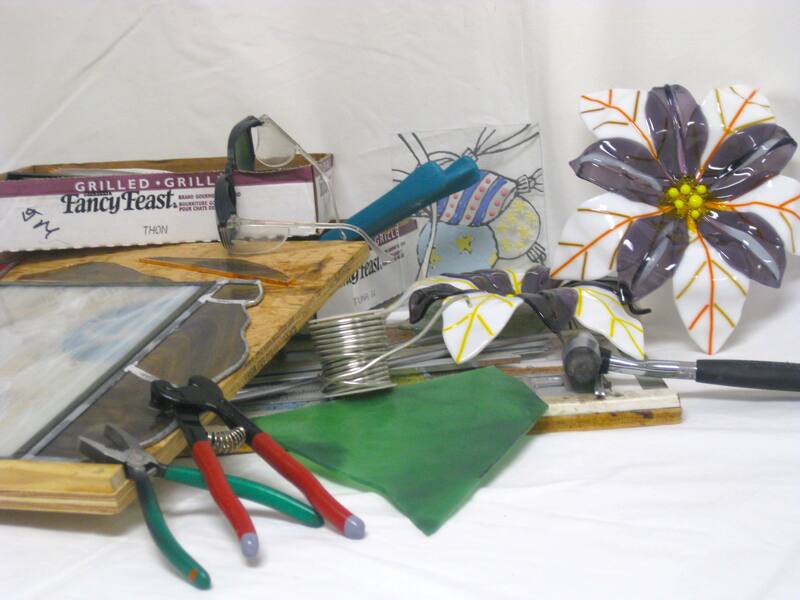 Participants will learn how to safely handle, cut and break sheet glass, follow a pattern, copper foil, and solder different elements together. This could be the start of something wonderful! Stained glass, copper foil, solder, and chemicals included. How many layers of glass should I use? How can I keep my design from bleeding? 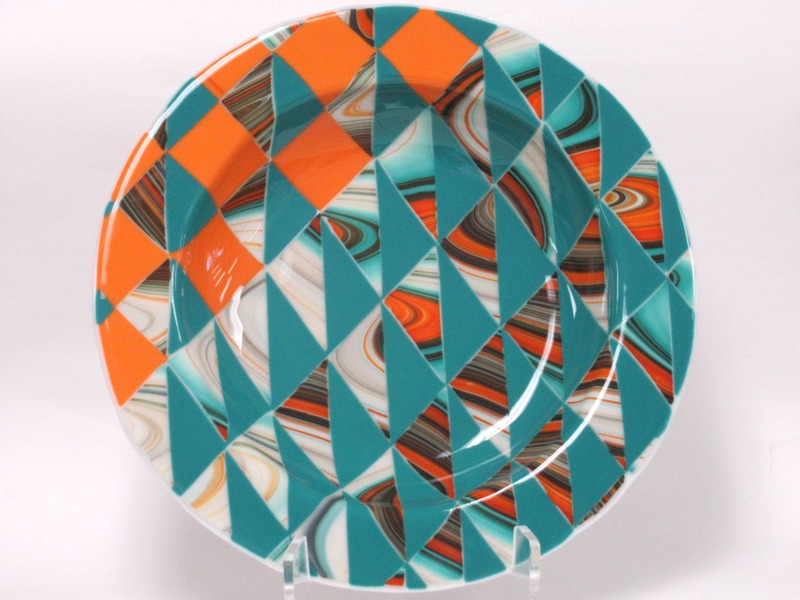 Volume plays an important role in glass fusing. The expansion and contraction of the glass can greatly affect how our pre-fired designs translate after firing. Learn how to predict your base displacement prior to firing while creating a dynamic butterfly pattern using 96 COE glass and accessories. All materials and project firings included. This project is fun and giftable! 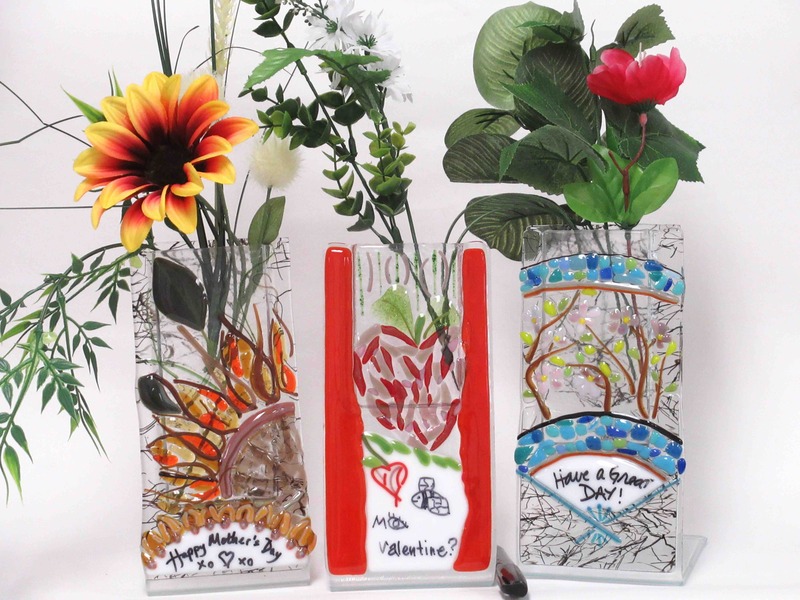 Celebrate Valentine’s Day with this unique, re-useable, fused and slumped glass greeting card vase. 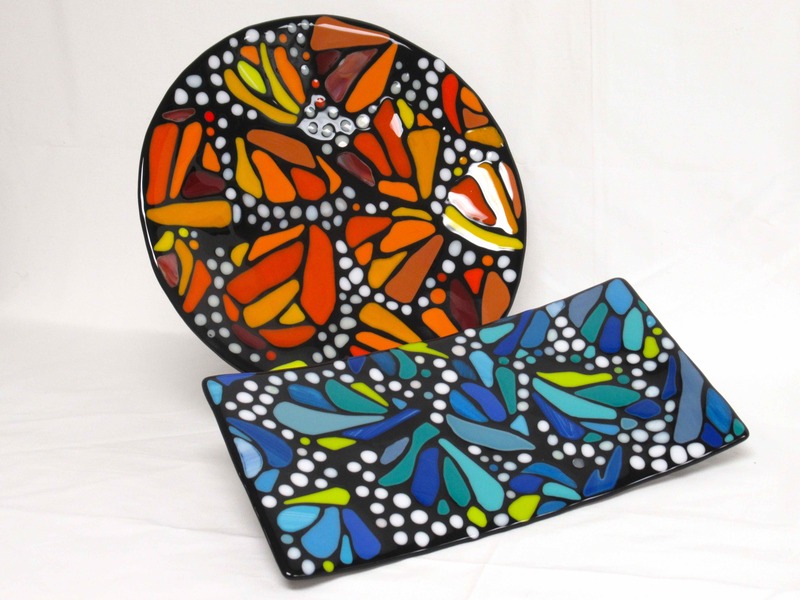 Using 96 COE fusing glass and accessories and Durafibre, participants will design their piece to include a re-writeable message board and cheerful pattern. Pieces will be ready in time for Valentine’s Day. 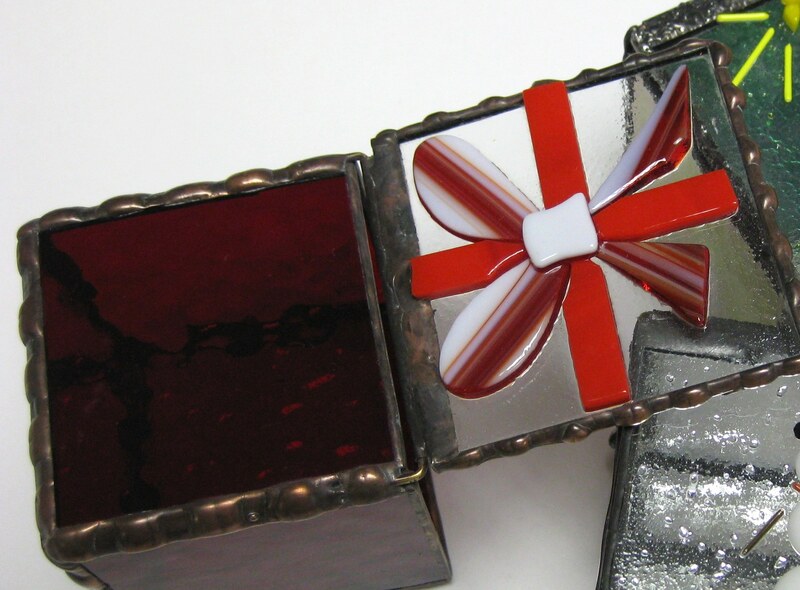 These tiny fused and foiled themed boxes make lovely gifts. Participants will select a pre-fired Valentine’s-theme lid to top a 2-inch x 2-inch clear textured bitsy box. Box building and lid hinging will follow. Finish and fill with sweet treats and you have a unique gift for Valentine’s Day! These desktop art pieces are functional and dynamic. Using 96 COE sheet glass, participants will learn glass-on-edge construction while creating a unique 1-inch thick pattern block. Use an assortment of fibre products and fibre damming techniques to complete a 6-inch x 6-inch modern timepiece. Disk grinding and glass drilling will also be covered. All materials and project firing included. You are welcome to augment your project with your own 96 COE coloured sheet glass. Wine and cheese anyone? Join us for this fun Valentine’s social and learn how to prolong the enjoyment of a bottle of wine long after the contents are gone! Bring along that special someone and an empty, label-free bottle for a fun and memorable activity. 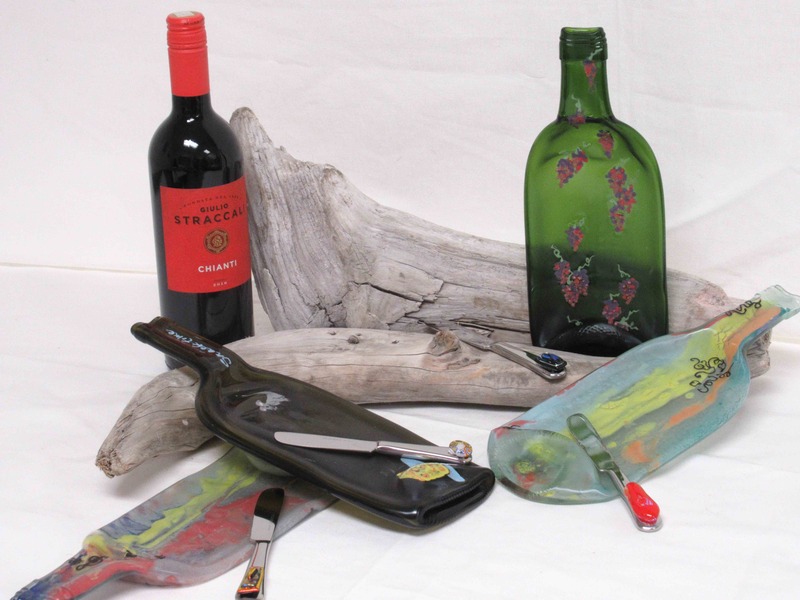 Use Glassline paints to recycle wine bottles into cheese trays and create create fused accents to be applied to cheese knives to complete the set. Make as many sets as you like! Light refreshments will be served. Glassline paint, 96 COE glass, cheese knife, and project firings included. Happy Family Day to all our members and customers. 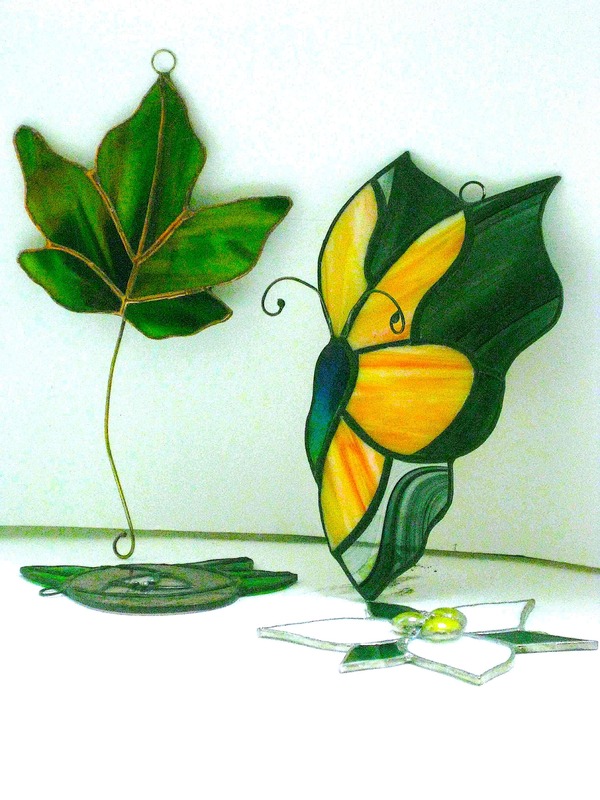 In the spirit of spending time together, we invite you to our beginner fusing open house. 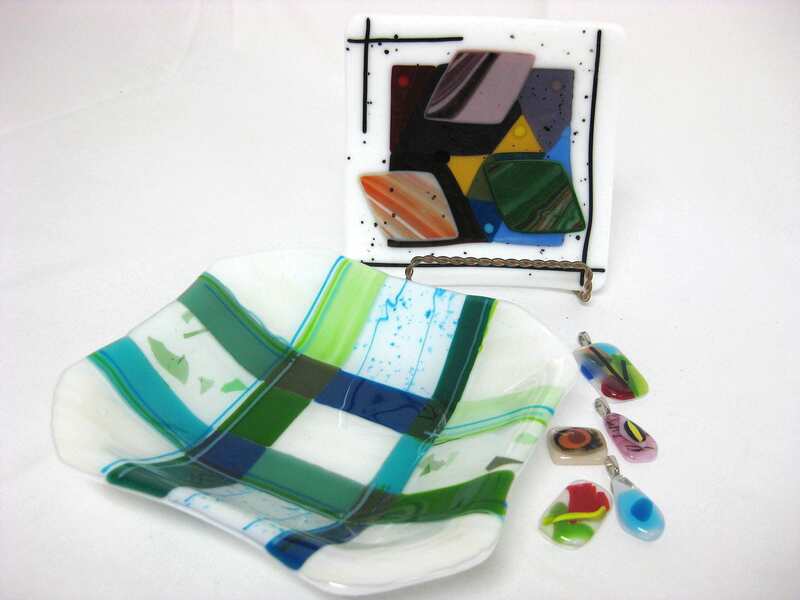 Come all day or just a couple of hours and make as many fused glass pieces as you can. Using 96 COE glass and accessories, participants can create jewellery, magnets, and small dishes. Basic glass cutting and firing will be demonstrated. Bring your family and friends and share the love of glass! Create a textile inspired triptych exploring the versatility of our finest glass accessories. Using System 96 glass powder, No Days Powder Wafer, Liquid Stringer Medium, stencils, and freeze and fire, participants will explore four unique and useful applications. Kiln setting, powder thickening, and multiple kiln firing schedules will also be covered. Each student will create a framed 9-inch x 15-inch triptych sampler. Participant’s kits include one bottle of Liquid Stringer Medium and one package of No Days Powder Wafer. Geometry and symmetry can seem impossible to conquer in glass, that is, until you have met Morton! The Morton System, a Studio tool favourite, is a cutting system designed to make multiple shape cutting easy and precise. 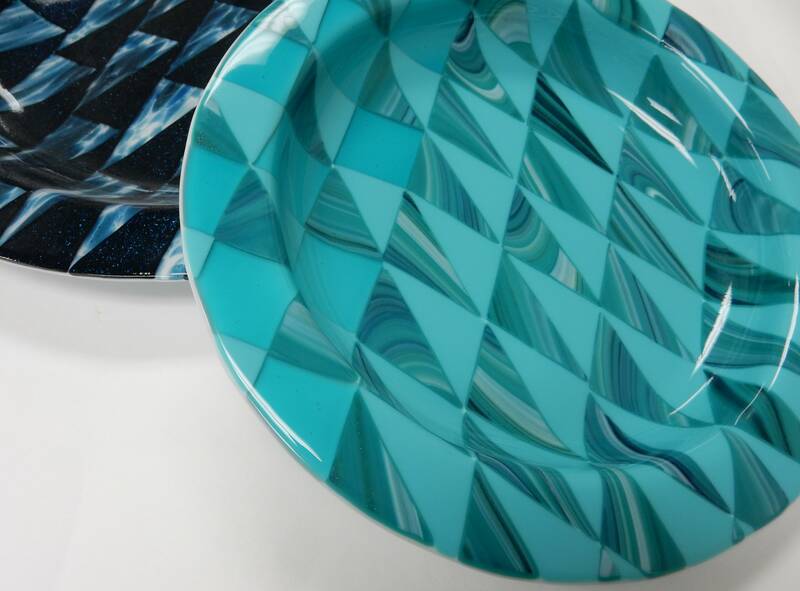 Using 96 COE sheet glass, participants will create a fused and slumped 15-inch round bowl with a repetitive geometric pattern in complimentary or contrasting colours. Drop out mould preparation and storage will also be covered. Participants must bring their own systems and boards or rent a Studio set for the day ($15). 15-inch white glass base and project firings included. 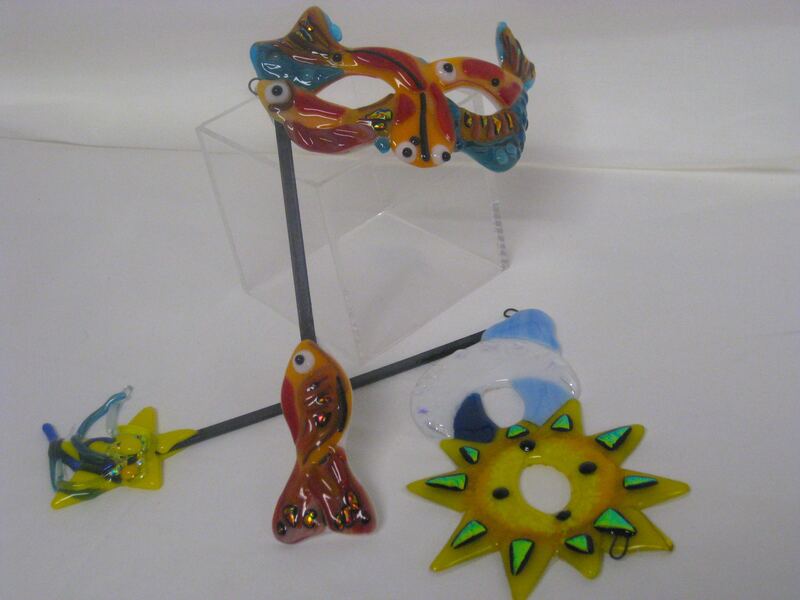 Spend the day in the spirit of Mardi Gras and create this long-standing Studio favourite, a character demi-mask in fused glass. Using 96 COE glass and accessories, participants will create a multi-layered piece that will be fired and slumped for form and function. With the addition of a hand post, this demi-mask is functional, light weight, and adorable. Attention Spring fling participants: These would be a show stopper at the GCBE’s 25th anniversary Glass-querade ball! 96 COE glass and accessories, all project firings, and steel hand post included. Did you dream into the coloured swirls of the art glass in The Lark, seeing the perfect form or scene? Learn how to create the story with copper and solder and apply it to the surface of your glass inspiration. 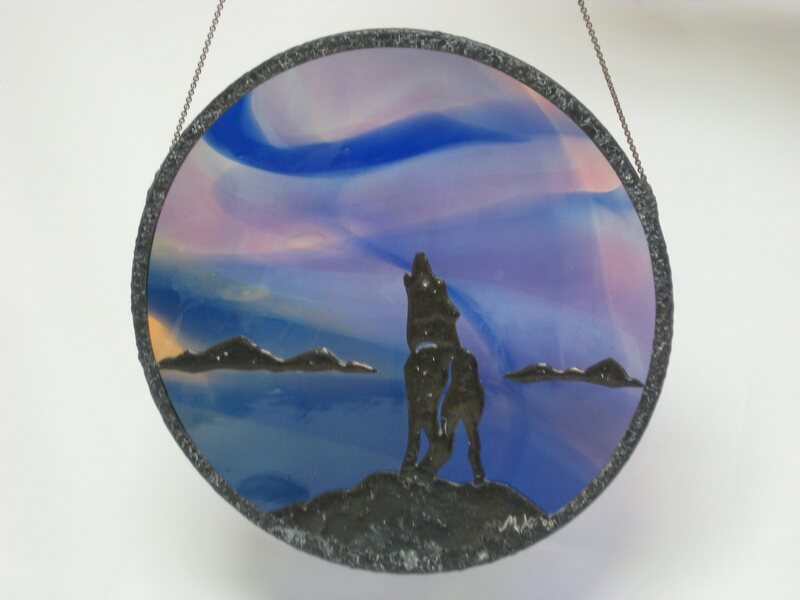 Participants will create a framed 9-inch window hanging during this one-day workshop, while learning design transfer, copper overlay soldering and finishing techniques. 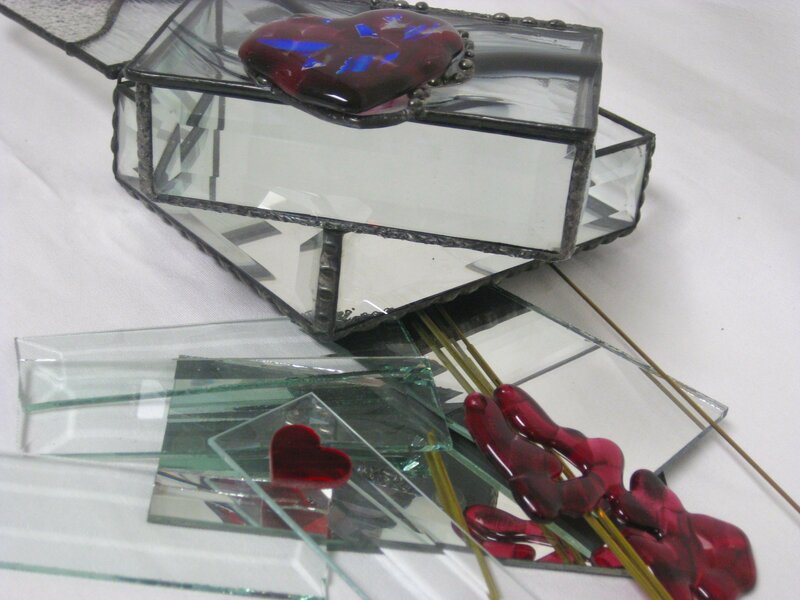 Bring that special piece of glass that inspires you or purchase one the day of the class. Solder, chemicals and sheet foil included. 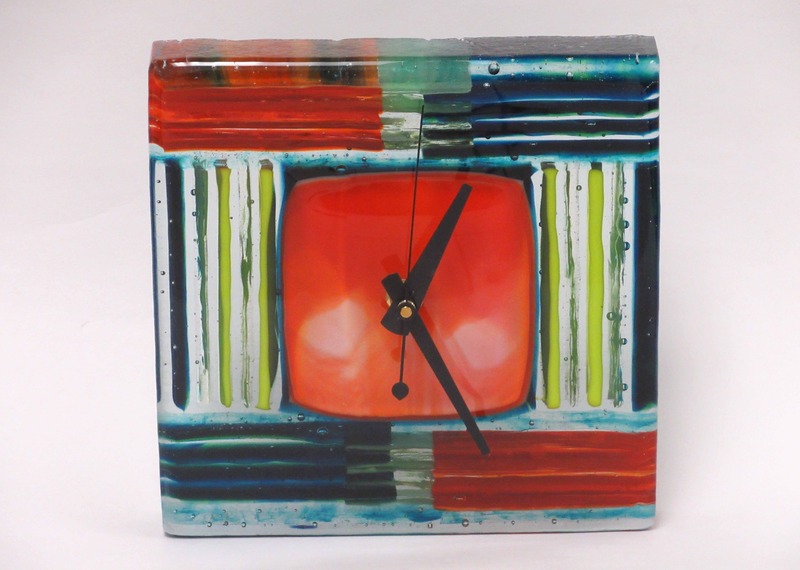 Are you ready to expand your fused glass repertoire while being inspired by architecture? 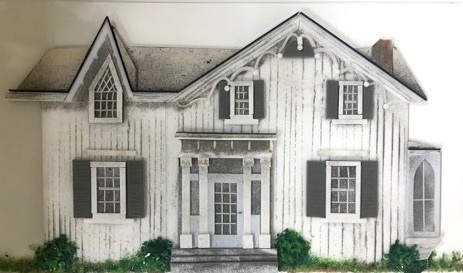 As seen in 197 Main Street, the McKay House panel in The Glassed Over Project, this fused glass picture will explore the ways to create dimension and structure in fused glass. Using 96 COE sheet glass, frit, and powder, participants will create siding, windowpanes, gingerbread trim and front entrances. Pattern breakdown, multi-layered construction techniques and kiln programming will be covered. 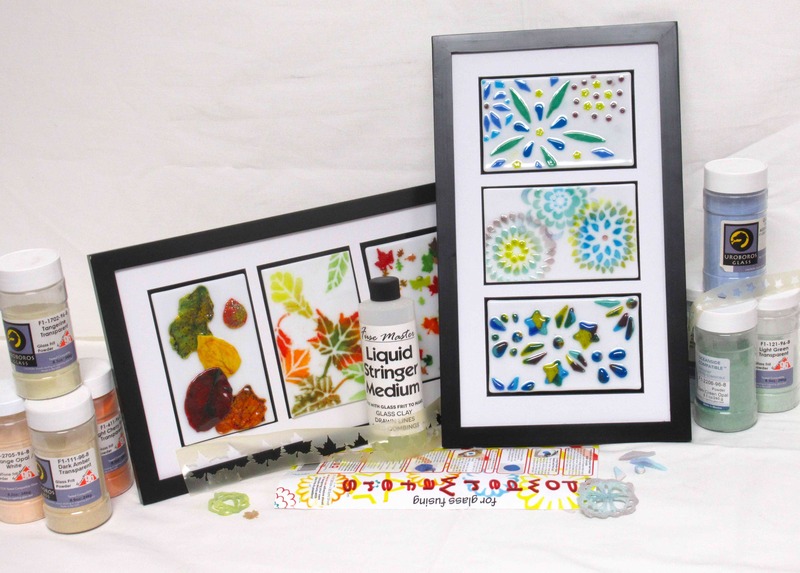 Participants will create an 8-inch x 10-inch fused glass picture. Bring a picture of your favourite architectural building. Glass frit, powder, stringers, and firings included. These workshops are open to youth participants (14+ years old) where accompanied by an adult participant.